From October 12-14, 2014, the city of Arequipa, Peru, hosted this year’s largest unnoticed meeting of senior government officials from across the Western Hemisphere: the 11th annual Defense Ministerial Summit of the Americas. The meeting brought together Ministers of Defense and their equivalents from 34 nations from the Western Hemisphere to discuss and coordinate positions on defense and security topics important to the region. Yet in the US media, almost the only mention of the gathering was a reference that the US Secretary of Defense would ask the assembled leaders for “specific contributions” to the struggle against the terrorist group the Islamic State of Iraq and the Levant (ISIL) in the Middle East. One can debate whether senior US officials visit or talk about Latin America and the Caribbean frequently enough, or whether programs such as Plan Colombia, Plan Merida, the Central America Regional Security Initiative, and the Caribbean Basin Security Initiative are sufficient. Yet from Washington DC, Latin American and Caribbean challenges, such as drugs, organized crime, and border issues just do not seem to “stack up” to the immediate, existential threats confronting the United States elsewhere in the world: Ebola, the fight against ISIL, a resurgent China, and a newly assertive Russia. Frighteningly, in decisions regarding how the US should focus its resources and attention in the pursuit of global security in the post-Cold War era, this logic is almost ubiquitous. It is also shortsighted and potentially creates grave risks for US national security. This piece argues that both those who argue for greater US attention to Latin America’s problems and those who argue the need to focus resources elsewhere, have it wrong. While Latin America and the Caribbean face important challenges, such as transnational crime, governance, and development issues in the post-Cold War world, US policymakers and analysts too seldom think in strategic terms about Latin America in the way that they do toward other parts of the world. Applying such a strategic lens to Latin America, the region’s core strategic value to the US derives not from individual problems in the region itself (although it is certainly in the US interest to address such issues). Rather, the principal strategic imperative of Latin America for the United States historically has been, and continues to be, its geographic and economic connectedness to this country and, by extension, the potential for a powerful extra-hemispheric actor to use the region to harm the United States or impair its ability to act in other parts of the world in the event of a future conflict. The rise of China and its projection onto the global stage, coupled with Russia’s increasingly bold reassertion of its imperial ambitions, increases the undesirable possibility of a serious conflict between the United States, and one or both of these actors. Yet, while strategists regularly ponder the political and military dimensions of how such conflicts could play out in Asia, it is unthinkable that a power with global political, economic, and military ties, such as Russia or China, would allow the United States to engage it in its own region without taking the fight to the US’s “backyard” as well. 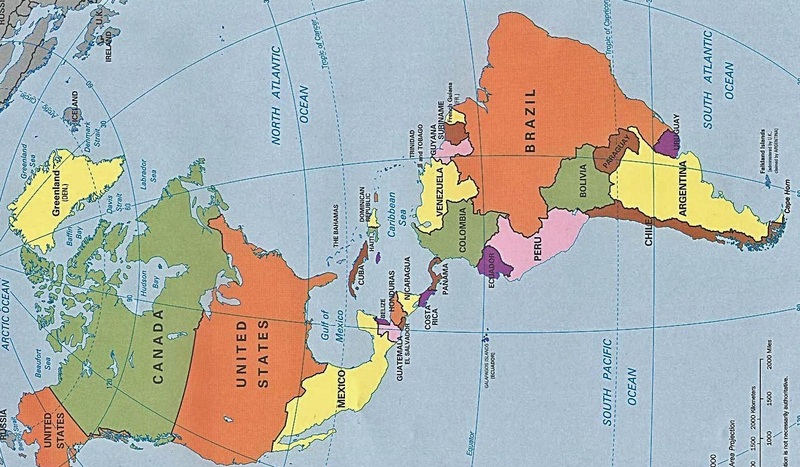 In short, there is a worrisome disconnect between the possible conflicts that US strategic planners for other theaters see on the horizon, and the focus of planners responsible for assessing Latin America and the Caribbean. The later tend to evaluate the risks to the United States in terms of the challenges coming from the region, but not those potentially coming through the region as a product of developments in other parts of the world. Things were not always so. During the Cold War, US planners instinctively saw the Americas as an arena where the Soviet Union would seek to act as part of its global struggle with the West. Concerns over of a US rival acting against the United States through proxy states in Latin America and the Caribbean was manifest in US attempts to contain Cuba, and to prevent pro-Soviet regimes from coming to power in Nicaragua, El Salvador, Guatemala, and the Dominican Republic, among others. The presence of such a threat forces the United States to divert resources and attention from actions in other theaters. US trade and financial interdependence with the region allows an adversary to harm the United States economically or undermine the sustainability of US efforts elsewhere without acting directly against the United States. The geographic proximity to the United States gives an adversary the option to resupply forces or hold U.S. targets at risk from the region during a global conflict. While neither Russia nor China can be expected to openly threaten the United States in the near term, both are significantly strengthening economic and military positions in the region, and they are moving toward a posture in which a conflict with the United States is no longer unthinkable. While the United States works to peacefully cohabit the globe with these states, it is the duty of those responsible for US national security to contemplate how such actors might move against the United States in the Western Hemisphere in time of conflict, and how the United States should respond during such a conflict, and mitigate risk in the period prior to it. In 2008, when tensions escalated between Russia and the United States over the civil war in Georgia, Russia sent the United States a powerful message by sending two nuclear-capable Tu-160 bombers to Venezuela, to conduct flights in the Caribbean, followed 3 months later by the arrival of a naval flotilla led by the Russian cruiser, Peter the Great. In 2014, as tensions with the United States and Europe heated up again over the crisis in the Ukraine, Russia indicated its intention to establish facilities for the resupply of Russian naval vessels in Cuba, Venezuela, and/or Nicaragua, as well as the reactivation of the Soviet-era listening facility in Lourdes, Cuba. Even if such actions are “bluffs,” each should be a wake-up call to US policymakers and planners about the threats posed to U.S. security through willing collaborators, or poorly governed spaces in the hemisphere. Neither is Russia the only extra-regional power building alliances and constructing positions close to the United States. For example, in the past decade, the People’s Republic of China (PRC) has significantly expanded its commercial presence in the region by providing gifts and investing in projects in the Caribbean at a level that is way out of proportion to the value of the region to China as a market or a source of commodities. Some of these projects include: the expansion of Hutchison Whampoa’s container shipping facility at Freeport, Bahamas, less than 100 miles from the US coastline; the planned construction of an additional shipping facility at Goat Island, Jamaica; the expansion of port facilities in Santiago, Cuba; and, US$10 billion for hotel and gambling resorts on the tiny island of Nassau, Bahamas, to name just a few. Beyond economic interactions, the PRC also quietly built its military relationships in the region through significantly expanded arms sales, as well as regular visits by Chinese military leaders, education and training activities, and a growing military presence in the region. Indeed, this presence has evolved from multilateral humanitarian activities such as, participation in the United Nations Stabilization Mission in Haiti multilateral peacekeeping mission from 2004-12, to the conduct of combat exercises with the Chilean, Argentine, and Brazilian navies in 2013. China’s increasing willingness to engage with Latin America in an increasingly bold fashion has also been manifested in the diplomatic initiatives of Chinese leader Xi Jinping. His first trip to the region in June 2013, after he assumed the Presidency, focused on 11 bilateral summit meetings in three states, all north of the Panama Canal, while his second trip concentrated exclusively on states which have troubled relations with or actively oppose the United States. Although the PRC has not pursued defense alliances or base access agreements in the Western Hemisphere, the combination of its commercial presence and political and military relationships give it the ability to conduct military operations from the hemisphere relatively rapidly should hostilities with the United States cause it to do so. Chinese companies such as Hutchison Whampoa, China Shipping, and COSCO, for example, have detailed knowledge of Latin America’s port facilities and their support capabilities from years of operating there. In evacuating personnel from both Somalia and Libya, Chinese commercial airlines and shipping companies have shown that they will not hesitate to collaborate with the Chinese People’s Liberation Army if needed to support China’s national interest. Beyond Russia and China, the aggressive public diplomacy of Iran’s previous President, Mahmoud Ahmadinejad, serves as a reminder that the region’s proximity to the United States is also an attraction for mid-level powers. For example, Iranian actions include the use of Venezuela to introduce agents into the region, the establishment of factories in Venezuela and financial institutions in that country, as well as in Ecuador for evading sanctions, and the recruitment of youth for religious indoctrination from countries from Nicaragua to Colombia. Short of a nuclear war in which all sides would lose, it is not unthinkable that the United States could fail to prevail in a standoff with a future Chinese-Russian coalition, ushering in a new “truly multipolar” era, making a bet against the United States more rational than many in Washington like to imagine. While the idea that adversaries could act against the United States from Latin America is not new, the senior decision makers and planners who assess conflict scenarios in other parts of the world may not have the detailed inputs from Latin American experts to understand how adversary actions in this hemisphere could impact the effective and sustained US prosecution of a military campaign abroad. Reciprocally, while Latin American analysts presumably focus on threats like drugs, organized crime, and minor terrorist incidents, it is not clear that they regularly examine how actions by near-peer competitors in other theaters could affect their own area of responsibility. In the short term, the greatest need regarding US security in the Western Hemisphere is not more money, but different thinking. It is difficult to identify a senior US policymaker or prominent analyst who analyzes Latin America and the Caribbean with the strategic analysis that luminaries such as Henry Kissinger, Zbigniew Brzezinski, and Brent Scowcroft apply to Asia, the Middle East, or Europe. Indeed, it is difficult to identify a major recent essay done by Kissinger, Brzezinski, or Scowcroft themselves focused on Latin America and the Caribbean. From a US Department of Defense (DoD) perspective, it is imperative that Latin American and Caribbean experts be included in the “strategic thinking” that is done about Russia, China, Iran, and other extra-hemispheric actors and the associated national security challenges that extra-hemispheric actors pose in other theaters. Such inclusion would help those responsible for those theaters to understand in a specific and realistic fashion how the economic, political, and military positions of a contemplated adversary in the Western Hemisphere could impact the U.S. ability to mount a timely and sustained response to that adversary in the non-Western Hemisphere location from which the crisis emanates. Reciprocally, knowledgeable senior personnel integrated into U.S. planning in other theaters should be embedded in the planning and decisionmaking processes for those responsible for the “Western Hemisphere,” i.e., US Southern Command (USSOUTHCOM) and U.S. Northern Command (USNORTHCOM), so that the threat matrix that they plan for is not limited solely to the threats of drugs, gangs, and organized crime “on the horizon” in Latin America and the Caribbean, but those which could flow out of a significant conflict with a global competitor in Europe, Asia, or the Middle East. Additionally, war games for commands such as U.S. Central Command (USCENTCOM), US Pacific Command (USPACOM), or U.S. European Command (USEUCOM) should include realistic play in the Western hemisphere that could impact the arrival or sustainability of US and coalition forces available in their own theater, and even the level of cooperation of coalition partners coming from the Western Hemisphere. Ideally, such USCENTCOM, USPACOM, and USEUCOM exercises should also integrate U.S. Western Hemisphere allies with a stake in the outcome including Canada, and where possible, Mexico, Colombia, and Chile, among others. Doing so would have the added benefit of strengthening US relations with its security partners in the Western Hemisphere by bringing them into U.S. global planning processes as stakeholders, and not as mere resource providers or supplicants. Beyond war gaming, an important component of the strategic-level response to the challenge presented by extra-regional actors in the hemisphere should be additional analysis about who are the extra-hemispheric “strategic partners” of the United States in Latin America and the Caribbean, as well as what is the “strategic terrain” of the region. This includes identifying key countries, groups, and economic sectors under varying scenarios, and on a recurring basis, as well as physical terrain. As an example, as aid to Colombia decreases, with that nation surrounded by Bolivarian Alliance for the Peoples of Our America regimes opposed to US interests in the region, we may wish to consider how the “loss” of that country as a close political partner, one willing to cooperate with the United States across a range of security and law enforcement issues, would impact US influence in South America. 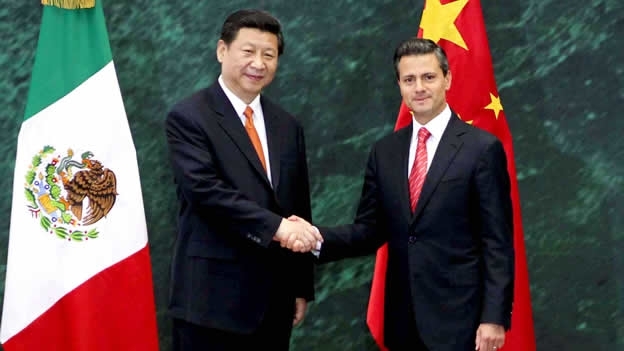 Similarly, as the Mexican government of Enrique Peña Nieto seeks improved relations with the PRC, we may wish to examine how a Mexico that is less resistant to the economic and political advances of the PRC would impact the US position in Central America and the Caribbean. PRC + EPN = ? Looking to the Caribbean in a similar fashion, the United States may wish to consider what would happen if it lost the strong cooperation of the Dominican Republic (or even became politically estranged from its own Puerto Rico) in a Caribbean basin increasingly inundated by extra-regional actors, including the Russian positions in Nicaragua and Cuba, the Chinese commercial ports in Freeport and Goat Island, the Chinese built satellites and telecommunications infrastructures, and the significant Chinese military relationships with virtually all of the nations which recognize it in the Caribbean basin, including Venezuela, Suriname, Guyana, Cuba, Jamaica, and Trinidad and Tobago. Finally, U.S. strategic thinkers should consider how the United States can work more effectively with other extra-regional partners as part of its strategic response in the Western Hemisphere. These include, but are not limited to, states such as Japan and India, whose political systems, economic practices, and global objectives may be more aligned with those of the United States, and who are less inclined to use their positions within Latin America against the United States in a time of conflict. In the current era of global commerce and interdependence, it would be difficult, and probably counterproductive, for the United States to attempt to prevent states of the region from developing economic, political, and military relationships with extra-hemispheric actors. It can however, intelligently use its commercial leverage and “soft power” to support the strengthening of positions in the region by those extra-regional actors most friendly to the United States and most aligned with Western international norms on issues of trade, international finance, and protection of intellectual property. The purpose of this essay is not to argue for a significant redirection of material resources toward Latin America, or to impose a new “Cold War” mentality on the region. Rather, it is to offer constructive recommendations for what responsible US leaders and planners should consider, even as the United States continues to work toward productive and harmonious relationships with global actors such as Russia and China, and even as it continues to work with the region on the issues of democracy, development, security, and governance that are shared interest for all who share the Western Hemisphere. To view the matter through a military analogy, Latin America is the unoccupied high-ground overseeing the US position. A responsible commander would recognize that the occupation of that high ground by an adversary poses an unacceptable threat to his force, and thus would dedicate resources to block the adversary from doing so. By this analogy, it would be a grave error for the United States to conclude that, in the absence of serious threats to the United States from Latin America, it is okay to merely watch as potential future adversaries such as Russia and China expand their positions in the region. While such neglect, in the short term, may “free up resources” to continue other engagements abroad, over the long term, the willing cessation of its own neighborhood by the U.S. is the single factor most likely to force the United States into a chaotic retreat from its external engagements. Latin America is strategically fundamental to the security and prosperity of the United States. This was a concept integral to the launching of the process of defense ministerial summits with the 1995 Williamsburg summit. It is better that we rediscover that lesson today, rather than learn it at great cost in the future. Dr. R. Evan Ellis is a research professor of Latin American Studies at the Strategic Studies Institute with a research focus on the region’s relationships with China and other non-Western Hemisphere actors. This entry was posted in Uncategorized and tagged China, Colombia, Defense Ministerial Summit of the Americas, Ecuador, evan ellis, Iran, Latin America, Latin America blog, Strat, us strategy for latin america, Venezuela, Washington. Bookmark the permalink.